A mid-size polyurethane baluster with a classic Colonial look. 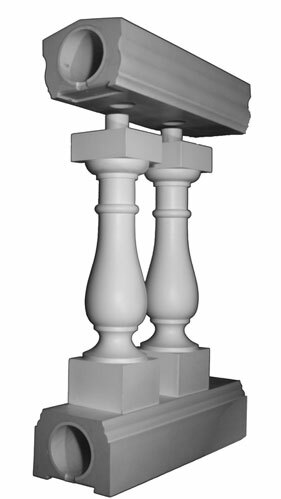 Also called Polyurethane Balusters. Actual Width: 4 1/2″. Specify length/design. Recommended On Center spacing is 6 1/4″. 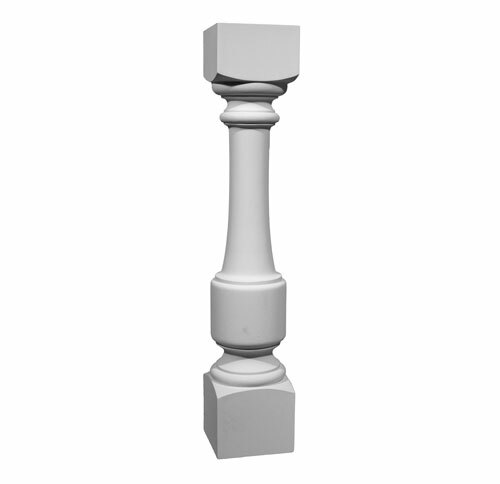 Polyurethane balusters are reinforced with an internal PVC pipe, which extends 1″ from each end. Example: 10′ of rail, which is 120″. Take 120 divided by 6.25 = 19 needed.